Posted October 29th, 2013 by michaelkay & filed under Articles. The city was first established in the early 1900’s when the Silver Lake Reservoir was created. Soon after, the city began flourishing with the construction of new houses, streets and a developmental plan in action which livened up the city with new residents making the city their home. According to the 2000 Census, Silver Lake, CA has made home to over 30,000 residents in the year 2000. Celebrities such as, Rachel McAdams, Janet MacLachlan, Ryan Gosling and many other celebrities live in the city today or have in the past. Advanced Group Property Inspection Company conducts property inspections in Silver Lake, CA and has found in their inspections that this community has a substantial amount of homes built in the early 1900’s. A property that has been standing since that time in year typically can result with plumbing, electrical, structural and foundational problems. Some of the issues can be repaired easily and can be inexpensive, however the first step would be to understand the properties stand point. During an inspection, Advanced Group Property Inspection Company conducts a visual walk through of the property with its clients, takes pictures and takes notes of every possible defect that is identified. The property is inspected from the exterior, interior, attic, to even the condition of the roof. During the inspection, the inspector is able to do a visual inspection of exposed plumbing pipe lines, electrical boxes and wires, the condition of the structure and foundation. If any defect is identified, that defect would be analyzed in the inspection report, and if further evaluation is needed by a specialist, that recommendation would be made. The inspection will allow any future or current property owner to understand their properties stand point. A defect can sometimes be easily repaired when found sooner than later. “In my mind, I’ve always been an A-list Hollywood superstar. Y’all just didn’t know yet”, Will Smith. Hollywood California, a name that represents the motion picture industry of the United States. How did Hollywood get its name? In 1886, Landowners Harvey & Daeida Henderson Wilcox named their ranch Hollywood after Daeida met a woman in Ohio whose country house was called “Hollywood”. Soon after in 1887, the city was named Hollywood, which became the haven for almost all industry talent. The city blossomed with its production in film. The first film created in Hollywood was called In Old California, in 1910 which was only seventeen minutes long. Soon after, new films such as Back to the Future, Terminator, The Lion King, and The Godfather were revealed, which are now world-renowned. In honor of all the film and talent that Hollywood has brought to the world, the Academy Museum of Motion Pictures is the new breathtaking display that will be showcasing such production and achievements. Opening in 2017, the museum has already accumulated donations more than seventy million dollars even before the museum has opened its doors. 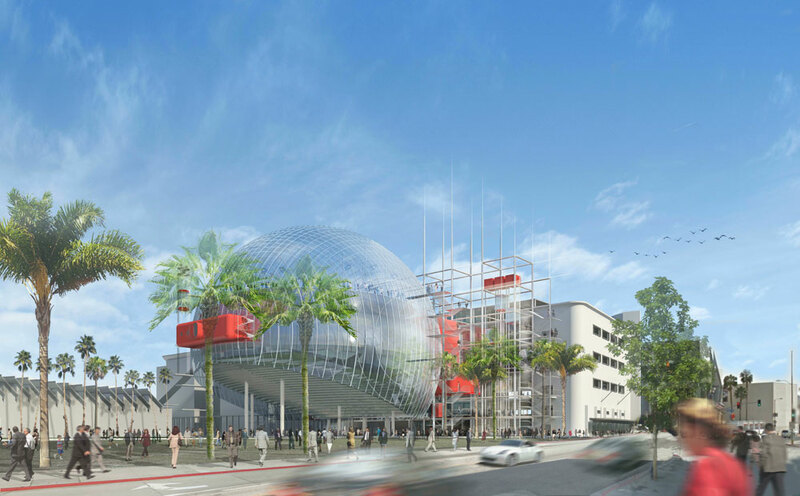 “ The Academy Museum of Motion Pictures will be the world’s premier museum devoted to exploring and curating the history and future of the moving image ”(www.oscars.org). It is no surprise that Hollywood, CA has become home to many people that want to be upon such talent and entertainment. With an estimated 3.8 million residents in 2013, and tourists that flourish the city year round, Hollywood is definitely a unique destination for people to live in and have vacation homes. Most of the homes in the city were built in the early 1900’s and were built with the city regulations that existed back then. Many of the homes don’t have the current regulations that the city requires, such as fire sprinklers. In addition, due to the age of the properties they can have structural and foundation problems. Advanced Group Property Inspection Company identifies these issues during property inspections in Hollywood. Cracks on the floors and walls, beams that are no longer structurally stable, foundation damages, and no fire sprinklers are some of the issues that are identified after an inspection. Schedule a property inspection with any of our experienced and Yelp’s #1 rated inspectors today. You will be glad to find out the current state of your property.